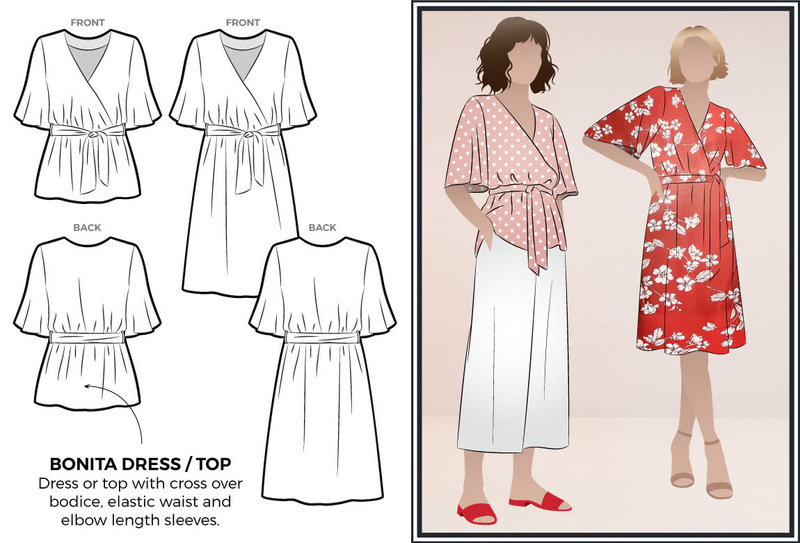 Today we’re launching our new February 2019 sewing pattern styles, the Bonita Dress / Top and Blossom Woven Top. The Bonita Dress / Top is a soft and fluid style, great for warm weather and ideal for work and weekend wear. Bonita features a delicate wrap front with a soft drape at the waist to enhance the silhouette. This style can be made as a dress or top and features a flattering “V” neck, feminine fluted elbow-length sleeve and a soft wrapped belt. Prefer to shop on Etsy? You’ll find Bonita here but our new multi-size options are only available from www.stylearc.com. A new month means new freebies! If you’re new to Style Arc you need to know that every month we offer two free patterns – free with every purchase. This month you can choose from the all new Blossom Woven Top or the Allison Skirt. Just shop as usual, add either of these monthly freebies to your cart and click on the green voucher at the checkout to claim your discount! It’s that easy. The offer is only available at www.stylearc.com. The Blossom Woven Top is a cleverly drafted pattern. It has a front dolman sleeve and a set-in sleeve at the back. The masculine button-through front is off-set by the slight gathers that fall from the front neck and back yoke. 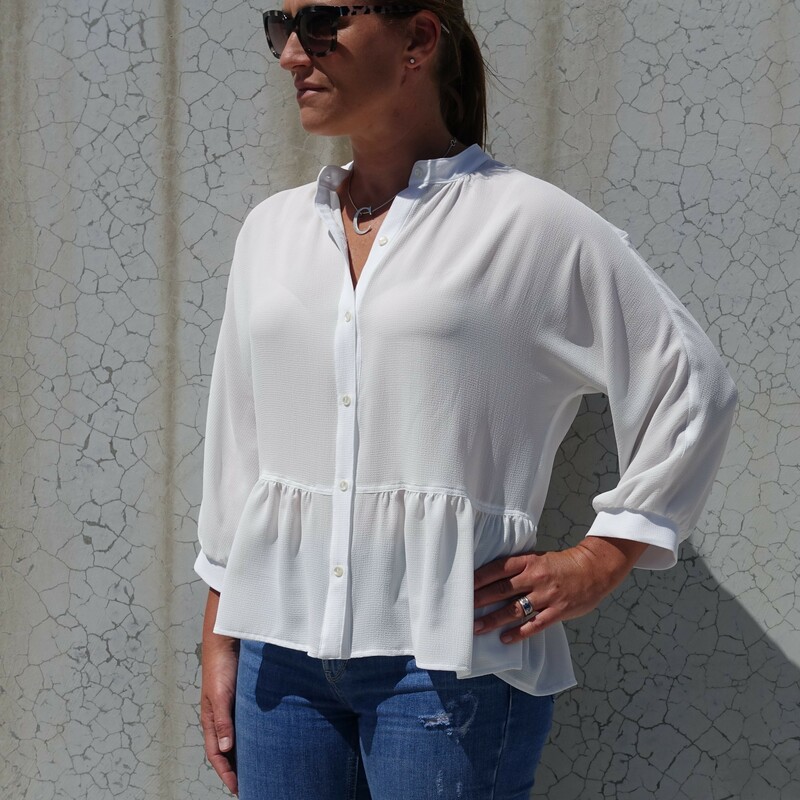 This design features a ¾ length sleeve and a gathered peplum skirt that creates an easy boxy silhouette. We hope you love our new styles!